In the end, members of 11 political parties were elected to parliament. 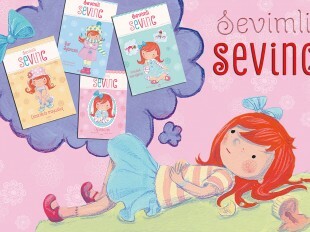 Candidates from the ruling Yeni Azerbaijan (YAP) party gained seats in 69 out of the 125 constituencies. Second to YAP were independent candidates who also won seats in the Milli Mejlis. Other parties to win seats included the Civil Solidarity Party, the United Popular Front of Azerbaijan, the Party for Democratic Reforms of Azerbaijan, the Great Establishment Party, the National Revival Movement, the Social Democratic Party of Azerbaijan, Ana Vatan, the Party for Social Prosperity, the Civil Unity Party and the Democratic Enlightenment Party. Voting was moved to a Sunday to make it easier for people to take part. 5,547 polling stations worked from 8am until 7pm. Despite poor weather, voter turnout was at 55.7 per cent. A key innovation of the elections this year was the role of webcams, allowing voters to monitor polling stations in order to increase transparency and generate interest in the voting process. 1,000 were installed this year, double the number in previous years, and they were distributed between 20 per cent of polling stations around the country, including in the Autonomous Republic of Nakhchivan. 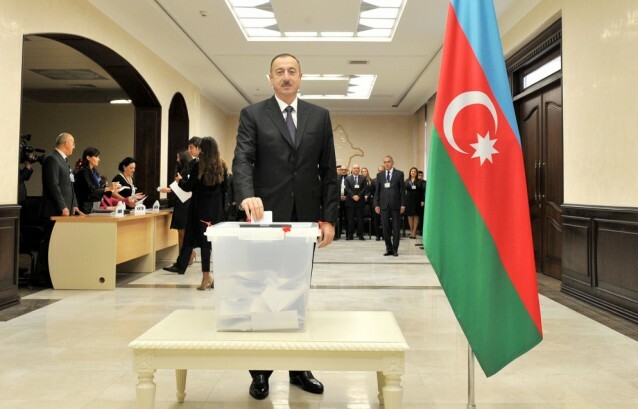 For the first time as well Azerbaijan employed a system of ultra-violet finger marking to avoid cases of repeat voting. 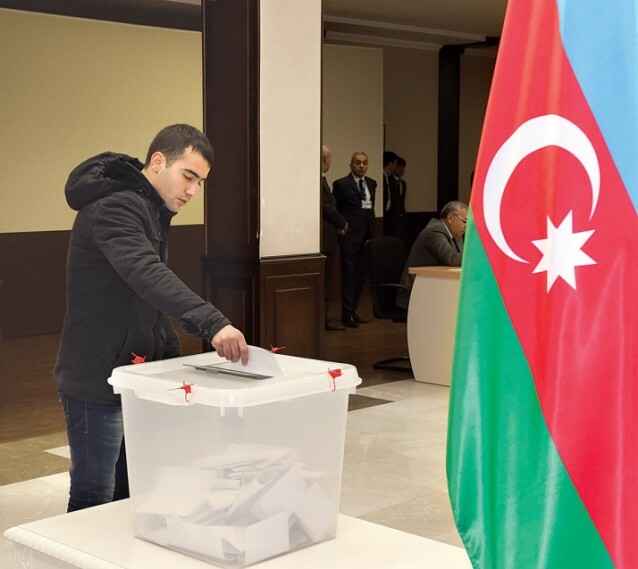 Despite the CIS observer mission saying this wasn’t necessary following elections in 2008, the Azerbaijani Central Election Commission decided to use this method to increase transparency for the international community. Romania is interested in placing webcams at polling stations like in Azerbaijan and also in using ultra-violet finger marking. This will help us to prevent repeat voting, said Rizvan, who was very impressed by the organisation and professionalism of the parliamentary elections in Azerbaijan. Exit polls are an important component of any election as a gauge of transparency. Four organisations conducted them at this election. 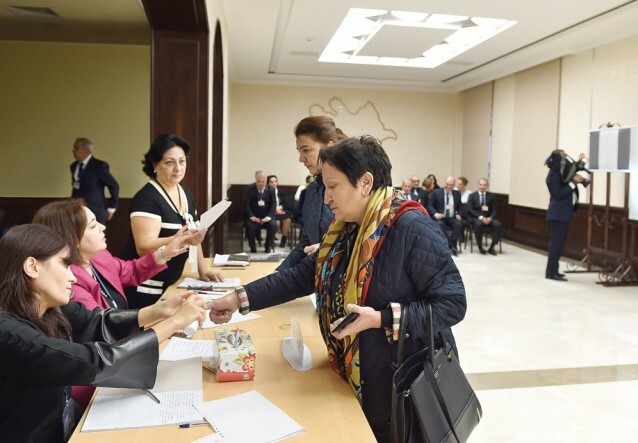 The Citizens Labour Rights Protection League (CLRPL) of Azerbaijan and the American organisation AJF & Associates Inc. conducted an exit poll at 1,053 polling stations. AJF & Associates Inc’s vice president, J.Brinbaum, reported at the final press conference that about 7,000 surveys had been conducted and of those, the leading Yeni Azerbaijan party had roughly 74 per cent of votes. During the exit poll, 165,000 voters were surveyed. They reported that voting took place normally, the conditions were there for the free expression of voters’ constitutional rights. Ms Yagubova believed that these parliamentary elections were another important step towards developing democracy in the country. 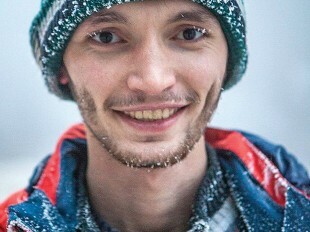 Other exit polls were carried out by the REY monitoring centre, which surveyed voters at 10 polling stations, and OpinionWay, a French social research institute, which ran an exit poll jointly with the Azerbaijani Youth Rights Protection Centre across 118 districts, where those surveyed confirmed they had voted freely. After the results were announced, Mazahir Panahov, Chairman of the Central Election Commission (CEC) of Azerbaijan, reported that 22 per cent of the Milli Mejlis would be made up of new MPs. 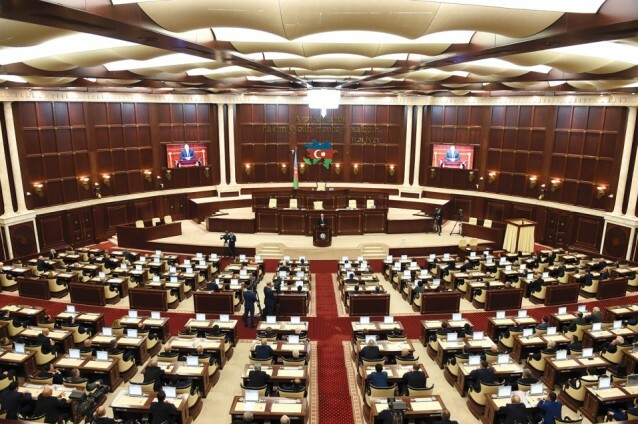 21 female and 104 male candidates became members of parliament and their job will be to represent the Azerbaijani people for the next five years. Of them, 27 were elected to parliament for the first time. Mr Panahov also reported that the elections were monitored by over 66,000 local and 500 international observers from 27 countries and 40 international organisations, alongside the hundreds of members of the press who covered events in Baku and the regions. He said that during the course of voting 150 appeals had been sent to the Commission via the CEC “hotline” and that any negative incidents would be considered in accordance with the Elections Code. Overall, Mr Panahov felt sure the elections were fair, transparent and democratic. Finally, Azerbaijani President Ilham Aliyev was also highly satisfied with elections to the Milli Mejlis, judging them fair and transparent. Stability is getting stronger and unity between the people and the authorities is growing. The recent parliamentary elections have confirmed it once again. Above all, I have to note the high participation observed at the parliamentary elections, and that democratic standards were fully ensured, said Ilham Aliyev on 4th November at the opening of the Heydar Aliyev Centre in Zagatala.